I wrote this, in 2010. It's part of my 10th lyric set, Inception Of The Omega. I, won't beg, I, won't plead. I, won't become, a part, of, your, disease. 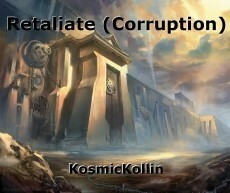 If they, continue, to proceed, I, will retaliate. I, won’t let, their, corruption, dominate. I, won't hesitate, to savagely, penetrate. The gate, to the fortress, they, thought, was, safe. It’s, all, just, games, playing, out, in, their, heads. If we, continue, to submit, the carnage, won't end. Feels like, people, that are, like me, are dead. From, the darkness, that, finally, devoured, them. Never again, will I, be insulted. This world, won't change, on its, own. Never again, will I, be catapulted. I want, the close-minded, to be, cut, to the bone. The haunted, are going to, keep, hunting, until, we, cease, the brainwashing. We, can’t allow, this plague, to remain, madness, and horror, are spreading. Every, second, that, passes, by, the numbers, are multiplying. We, have to, kill, the wicked, and, heal, the sickened.